Home Blog 5G LTE-Advanced Pro – what is this? 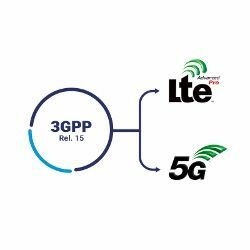 As 3GPP Rel-13 has been already frozen (with the exception of Narrow Band IoT), the time has come to provide an overview for the evolved LTE under the name of LTE-Advanced Pro. As already mentioned in one of the previous articles (LTE evolution: from LTE, via LTE-Advanced, towards LTE-Advanced Pro), LTE-Advanced Pro is a new marker for LTE starting with Rel-13 onwards. According to 3GPP, “the new term is intended to mark the point in time where the LTE platform has been dramatically enhanced to address new markets as well as adding functionality to improve efficiency”. Below some of the main features for initial LTE-Advanced Pro release are summarized, and a way forward with the ongoing Rel-14 work is presented. 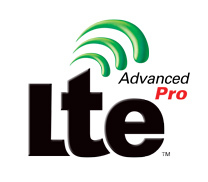 The first release of LTE-Advanced Pro was frozen last month (March 2016). It was brought to reality with quite extensive set of new functionalities as compared to LTE-Advanced. They are summarized below. LTE-WiFi Aggregation (LWA) – the Carrier Wi-Fi is serving as a capacity booster counterpart, using radio level integration with LTE serving as an anchor. In LWA, UE is configured by the eNB to utilize radio resources of both, LTE and WLAN. Licensed Assisted Access (LAA) – aggregates the licensed LTE carrier (serving as a mobility and signaling anchor – PCell) with SCell using the new LTE frame format over the unlicensed 5GHz ISM band. Device-to-device (D2D) – direct communication between devices assisted by network utilizing sideling exploiting new transport and physical channels. Massive CA – extends carrier aggregation towards higher number of aggregated bands and towards the use of unlicensed spectrum for mobile networking. Massive CA enables up to 32CCs and thus theoretically provides up to 640MHz of aggregated bandwidth for a single device, while still fulfilling backwards compatibility with LTE Rel-8 channel bandwidths. Dual Connectivity (DC) –spectrum aggregation in inter-site scenario, where a macro-cell serves as a mobility anchor, whereas the additional radio link provided by Small Cell acts as local capacity booster. DC enables to switch User Plane links among available SCs, whereas the user’s context is maintained by the overlay macro-cell. In contrary to CA, DC scheme, instead of aggregating MAC layer transport blocks, the PDCP Packet Data Units are combined, thus omitting the requirement for low latency and allowing non-ideal backhaul for SC connectivity. MTC enhancements – addressing low complexity MTC with focus to define a low complexity UE category type that supports reduced bandwidth (operation with 1.4MHz), reduced transmit power, reduced support for downlink transmission modes, ultra-long battery life via power consumption reduction techniques and extended coverage operation (up to 15dB). 3D/Full Dimension-MIMO – allow to use elevation beamforming enhancing the horizontal beam steering, and using up to 64 antenna ports with further outlook towards high frequencies for 5G. Multi-RAT Joint Coordination – addressing joint radio resource management between various RATs including “Dynamic Spectrum Access”, where the collocated LTE and GSM systems use dedicated bandwidth part which size depends on the actual traffic demands. It uses temporal traffic statistics: e.g. when GSM load on Traffic Channel is low, LTE is allowed to use shared part of the spectrum. As Rel-13 was frozen last month, the work on Rel-14 has already started, with the new SI/WIs targeting improvements and new features for LTE-Advanced Pro. Some of the interesting functionalities are summarized below with the target to be frozen in June 2017.
enhanced LAA (eLAA) – proposal extends LAA scheme with UL consideration to enable full DC-like capabilities for unlicensed spectrum. enhanced LWA (eLWA) – as LWA standardized within Rel-13, considered DL-only operation, an enhanced LWA (eLWA) is proposed within Rel-14 to overcome this limitation. The new features in this enhancement include: addition of UL transmission via WLAN, support for 60GHz, PDCP optimizations for increased data rates, and SON-related features for WLANs under eNB coverage. Vehicluar-to-Vehicular (V2V) – aims at specifying RAN support for V2V operation integrated with Uu interface within or without network coverage using sidelink including: PHY layer structure, RRM requirements, and L2/L3 protocol operation. CP and UP latency enhancements – shortening TTI down to a single OFDMA symbol and more resource efficient UL scheduling timing are some examples of the proposed improvements targeting latency reduction. Multi-connectivity – is expected to enhance DC, by providing multiple links for a UE in two options. First option considers configuration of multiple radio links per UE, where only limited, selected set of radio links is active at any given moment. Alternatively, all of the configured multiple radio links can be active. High spectral efficiency with the use of large number of antennas. Now, if we take a closer look on that, and compare with some of the “5G” design concepts, we can notice both of them seems very close to each other. 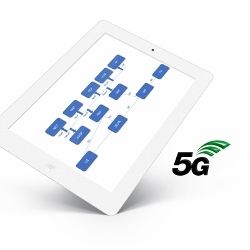 In my opinion, the main difference comes from the fact, that the evolution of LTE towards 5G goals is achieved by improvements, enhancements and adding more features, whereas 5G RAT targets a flexible design where all of the above should be brought together in a native manner with the requirement of forward compatibility. Press release regarding introduction of LTE-A Pro can be found here. Press release of Rel-13 from 3GPP can be found here.